Being a no-fuss Portland, OR couple, Brian and Ashley entrusted Ashley’s mom, Colleen, to book a wedding venue and start planning. 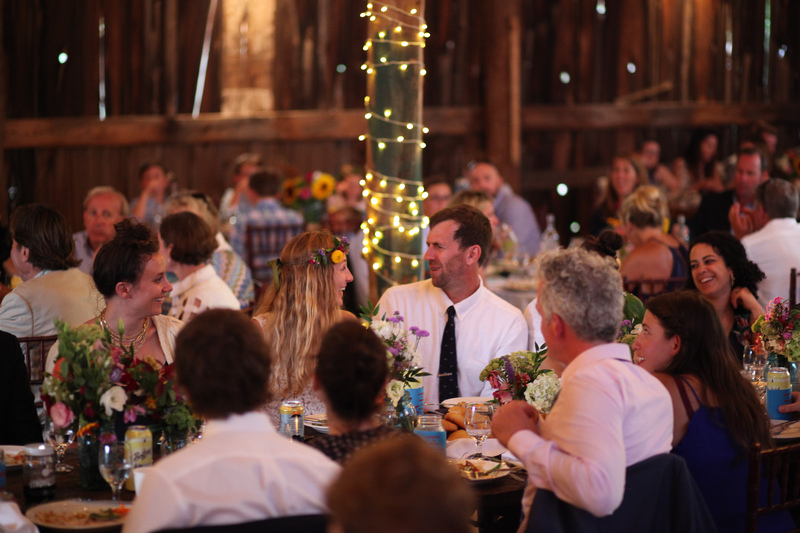 Colleen took a chance on Starry Night Barn early on, well before all the work was done, and took on the coordinating reigns with grace and directions from Brian and Ashley for a “laid back,” smashing celebration! And they nailed it! 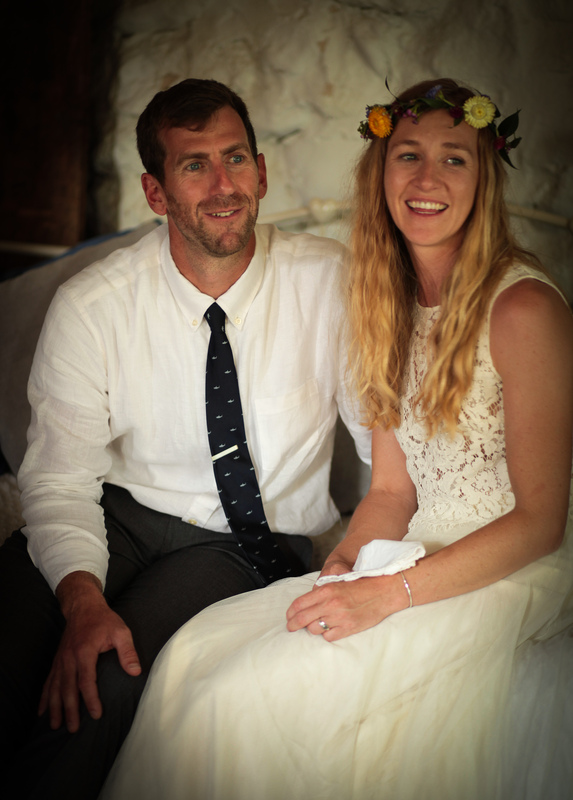 Days before the wedding, Brian and Ashley identfied their ceremony spot, planned their processional, rehearsed in shaky weather, picked and arranged their own flowers from Omena Cut Flowers, and celebrated with friends by the fire the night before their BIG Day. Brian and Ashley got married on August 19, 2017, a beautiful August day surrounded by both out-west and local family and friends. 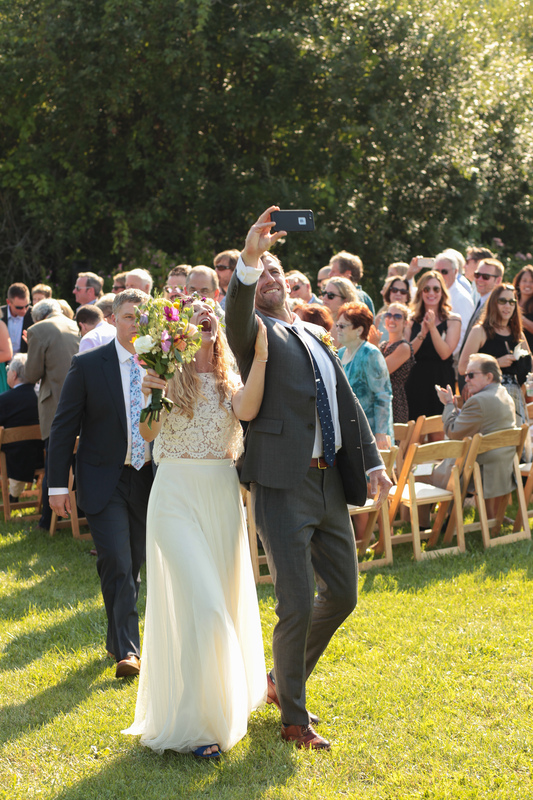 Everything about this wedding was upnorth local, but their love and respect for one another was out-west big and bold! 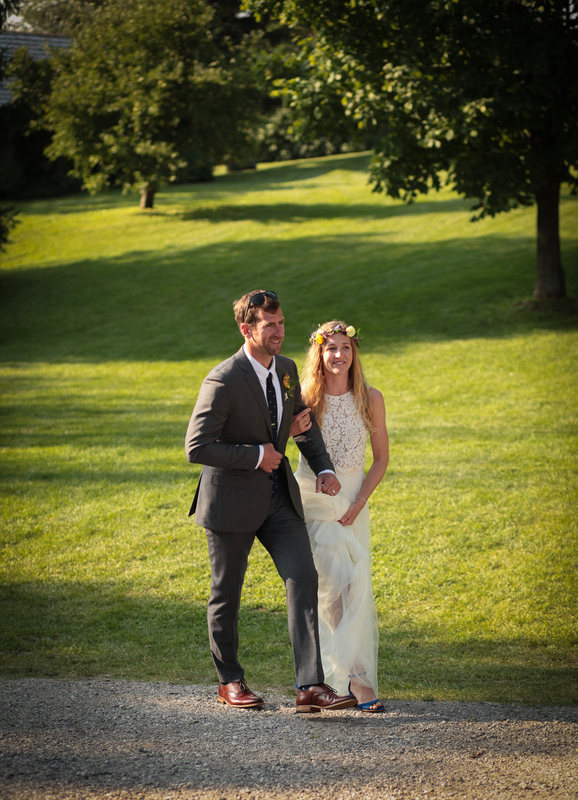 "We had such an incredible wedding day at Starry Night Barn! 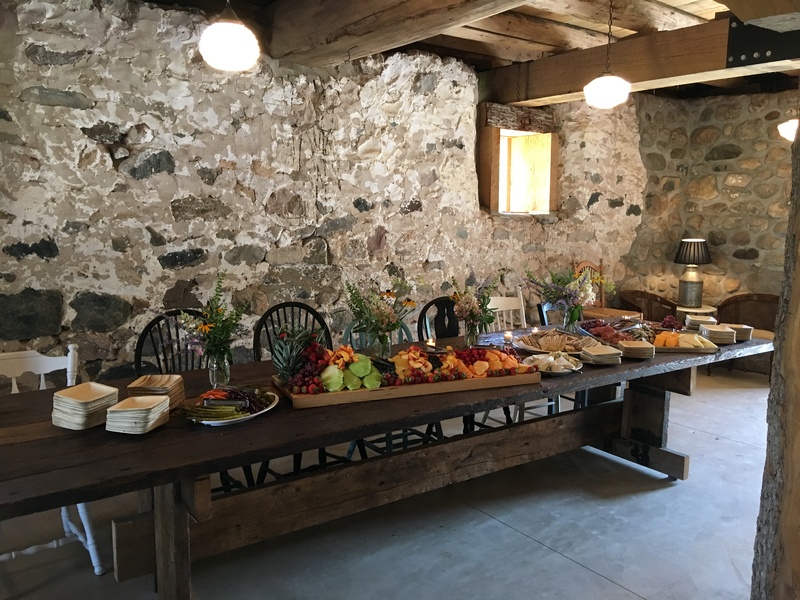 The barn is renovated beautifully and was the perfect space to host dinner and dancing. Meagan and John and the staff at Starry Night were gracious and accommodating and we really appreciated their organized and relaxed manor that helped our wedding day be stress-free! The two cottages are beautifully renovated as well and we loved staying on the property for the weekend. Really we could not imagine a better venue for such an important event!" Ashley and Brian’s wedding was story-book simple and elegant. Monstrey MacDonald provided the tables and mahogony chilvari chairs, along with round farm-style chandeliers that hung above the head table. 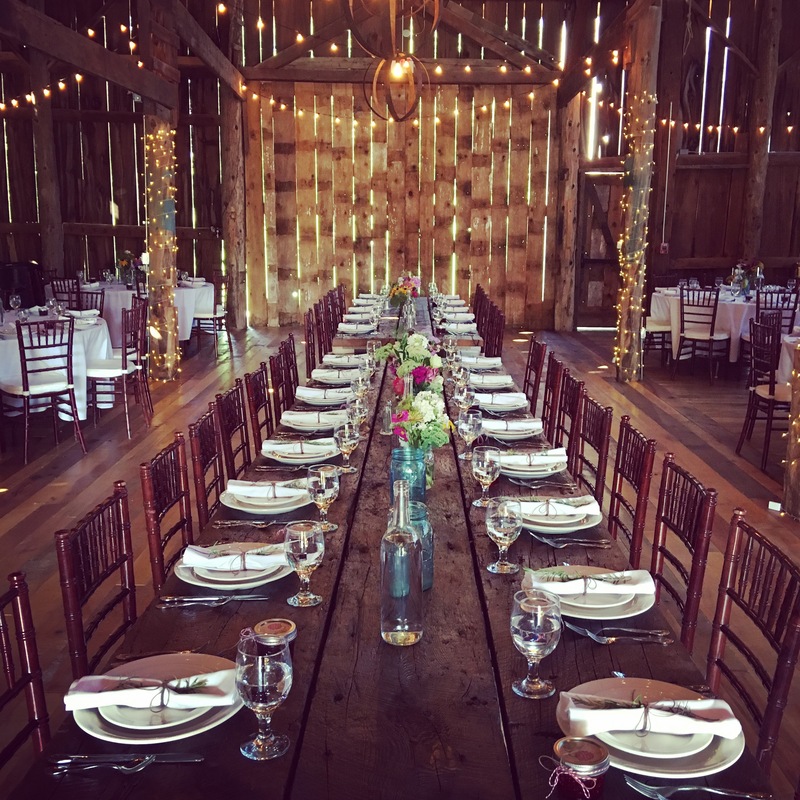 They left our near 15′ foot farm table bare with place settings and farm floral, creating a fantastic wood backdrop for a comfortable head table. Local Northport caterers provided dinner followed by Moomers Ice Cream cones and sundaes – with a specially made “Starry Night Barn” flavor to boot! And the delight of the night came from Roaster Jack’s downright amazing coffee drinks!